Former member of K-pop band Big Bang, Lee Seung-hyun, better known as Seungri, has found himself at the center of a series of scandals that have shocked the entertainment industry in South Korea. Female-led superhero movie Captain Marvel took in an estimated $69.3 million over the weekend, outearning the combined North American totals of the next nine films, industry watcher Exhibitor Relations reported on Sunday. Award-winning Reuters photographer Yannis Behrakis has died aged 58 after a battle with cancer, Greece's foreign press association said on Sunday. Sir Stamford Raffles is best remembered as the founder of modern-day Singapore, but a new exhibition sheds light on less well-known exploits of a man also criticized as a disobedient adventurer and bloodthirsty imperialist. Dazzling lights, deafening music, cool dances and costumes, screams from excited boys and girls… these are all typical elements of a performance by K-pop band BTS. Andrejs Zagars, a prolific Latvian opera director and actor, died on Tuesday at the age of 60 from colon cancer, his family said. French prosecutors have dropped an investigation into claims that film mogul Luc Besson raped his former girlfriend, his lawyers said on Monday. US President Donald Trump on Monday accused veteran film director Spike Lee of a "racist hit" job after the latter won his first competitive Oscar and urged voters to mobilize for the next election. Paris women's fashion week started late on Monday with fashionistas in a sombre mood following the death of legendary designer Karl Lagerfeld last week. 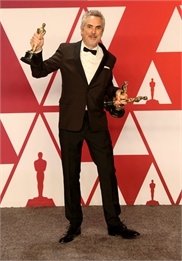 Alfonso Cuaron's big Oscars night - three golden statuettes for his personal film Roma, including his second for best director - once again highlights the major success in Hollywood for Mexican filmmakers. Music industry figures paid tribute on Monday to Mark Hollis, the "genius" frontman of the British new wave group Talk Talk, after a former bandmate announced that the singer had died aged 64. 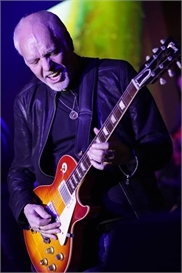 English-US rocker Peter Frampton on Saturday revealed he has a rare degenerative muscular disease that could inhibit his ability to play the guitar, and that his upcoming tour will be his last. Prince Harry and his wife Meghan arrived on Saturday night in Morocco for their last official trip abroad before the birth of their first child, which is due in spring.